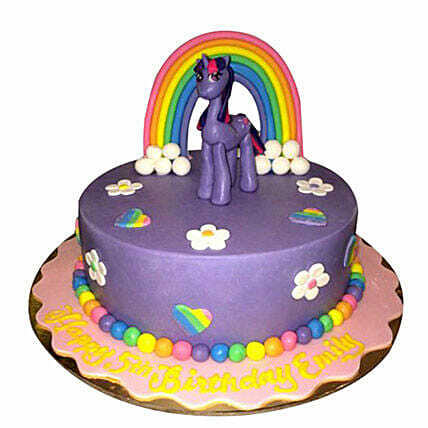 A cute little ponny is the star of this cake. You would get this glittering cake in vanilla, chocolate, marble, and red velvet flavor. So, hurry up and place an order immediately to add fun and excitement to your babyas birthday party.